We still have quite a bit of decorating to do in our house, and the main reason it's taking us so long is because I am incredibly picky and indecisive when it comes to decorating. I get overwhelmed when making decisions about what style of furniture, what color of paint, what type of curtains, etc. 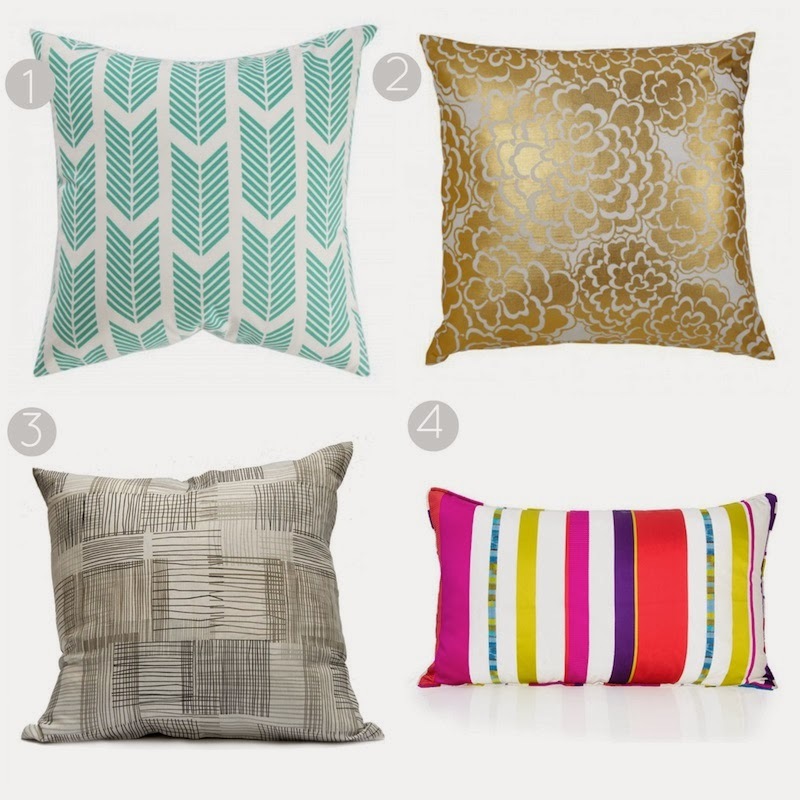 I always find myself drawn to the little, easier things: the objets d'art, the accent pieces, and the throw pillows. 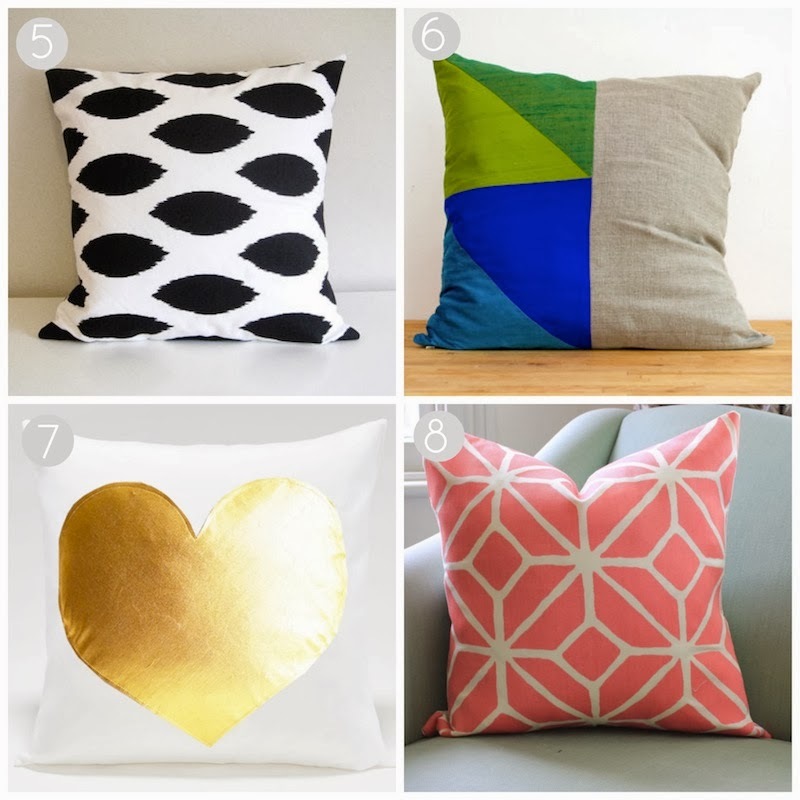 Below is a round-up of some of my most recent throw pillow finds. So pretty! Love #2 and #7! It takes me forever to choose too! looooove number 2 and number 8! i know what you mean about indecisive - it's like i need to make sure i see every option - because i don't want to spend money on something i'm going to replace quickly. good luck and have fun! you know I love # 5! Also 1 and 8. Picking the big stuff is so hard... it feels so permanent. Sometimes it's best to just pick something and test it out. I am constantly bringing things home, putting them up on the walls, and then deciding to return them!